Well....I am knee-deep in a "quick" room flip....I'm turning my former homeschooling room back into a dining room.....can I tell you that I'm in the midst of a paint disaster??? I've heard horror stories of paint not covering and have never had personal experience.....now I do! Ugh!! Just click HERE and leave me a comment! 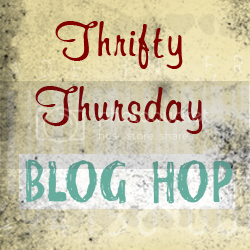 Thanks for all of the wonderful projects linked to Thrifty Thursday last week! Here are some of the favorites! Compulsive in Texas linked up an amazing tutorial for how she redid her countertops......with PAPER BAGS!! Yes....those are paper bags! I shared this redo on my FB page from It's Overflowing, but it deserves special attention again.....what a great idea! 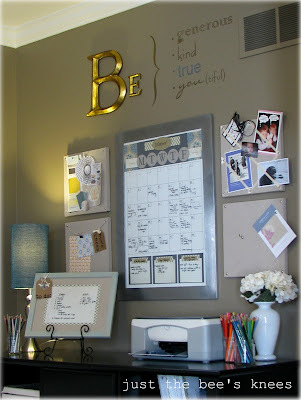 Just the Bee's Knees revealed her completed command center.....I already pinned her idea for the DIY linen corkboards! Viv at The V Spot truly blew me away with this idea......you must see what it was before to truly appreciate the after!! The Kurtz Corner shared these yummy Andes Mint Cupcakes....YUM!! My kids would LOVE these! If you were featured this week, feel free to grab one of my buttons! your post or blog so that others can link back. After you've linked here, hop over and say "hi"
at Saved by Love Creations! Hi Nikki! Thanks so much for featuring me this week!!! What a fun treat!!! And thanks so much for hosting! I'm so curious to see your homeschool room/dining room transformation!!! Yippee!!! I love room reveals!!! Chat with you more soon! Thanks Nikki for the feature this week!! Can't wait to see how your dining room turns out! So sorry to hear about your paint not covering:( Thanks so much hosting! I love visiting your blog, seeing all the wonderful projects...I definitely get inspired. Sorry to hear about your pain job. I feel your pain! We're almost done with a big room switch too. It's been 6 weeks! Thanks for hosting! Do you follow The Frugal Girls?? 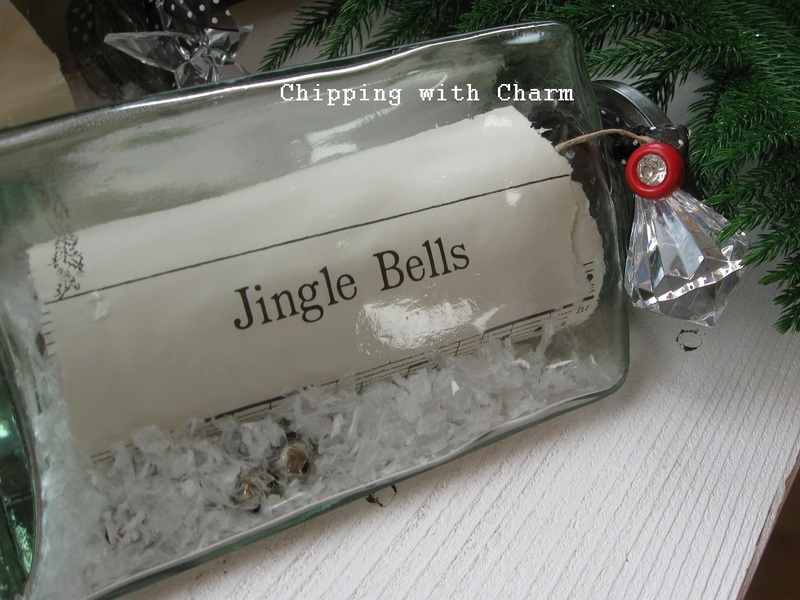 "Vintage" Ornaments. . . . . 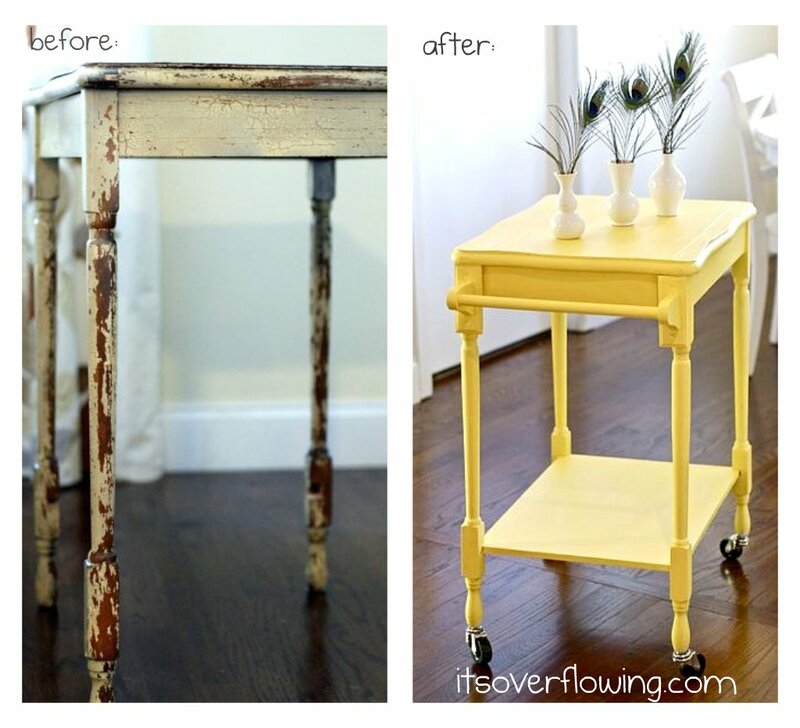 Shabby Desk Redo. . . . Paint disaster. . . .
French-inspired Craig's list hutch. . . .
Vinyl Winner. . . .
Blog Birthday and Vinyl Giveaway. . . .
Side Table Makeover. . . .
Thanksgiving kid's crafts. . . . . Camping Birthday Cake. . . Menu Planner. . . .
Friday afternoons. . . .
Sausage Turnovers. . . .